Benefits of gla or gamma linolenic acid come from its anti inflammatory properties. GLA is one of the omega-6 fatty acids but has an essential role in modulating inflammatory pathways in the body. We've all heard about the imbalance of omega-6 fatty acids to omega 3 fatty acids, and that this causes many problems with inflammation, depression, heart disease, ect. However gamma linolenic acid is an omega 6 fatty acid that has major benefits for your health across the board. Fatty acid metabolism is critical to controlling inflammation and allowing cells to make energy properly. Lets look at the role that gamma linolenic acid plays in your body, and why it's so beneficial. Gamma linolenic acid is required to maintain the proper balance of anti-inflammatory signaling molecules in the body. The enzymes that create anti-inflammatory molecules in our bodies diminish with age. Supplementing with sources of gamma linolenic acid like borage oil GLA and evening primrose oil help supply the body with these critical omega-6 fatty acids. Studies have shown that GLA can help in reducing weight gain after major weight loss in people suffering from obesity. GLA can lower LDL, increase HDL, reduce platelet aggregation, and prevent blood clotting that leads to strokes. be found in supplement form from several companies. They are in the form of softgells and this is perhaps the most convenient way to take them. Remember that all oils from vegetable or plant sources need to be stored in dark bottles and kept cool if not refrigerated. These oils oxidize somewhat easily and so you should never buy GLA capsules that are in clear bottles and/or not stored under refrigeration. 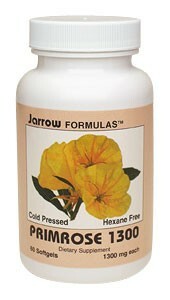 I like brands like Jarrow Formulas, Life Extension, and Pure Encapsulations. Although these are nutritional supplements, getting the proper dosage is something a qualified nutritionist or antiaging doctor can help you with. Fatty acid balance is a bit more critical than most issues of nutritional supplementation. It's important to get things right when it concerns fatty acids, because without the proper balance, many things can go very wrong. Look into the benefits of gla both for addressing health issues like inflammatory conditions and also to maintain the right balance of fatty acids in your system. Once again a qualified professional with the right testing can identify fatty acid imbalances and recommend the proper supplement protocol to correct them.